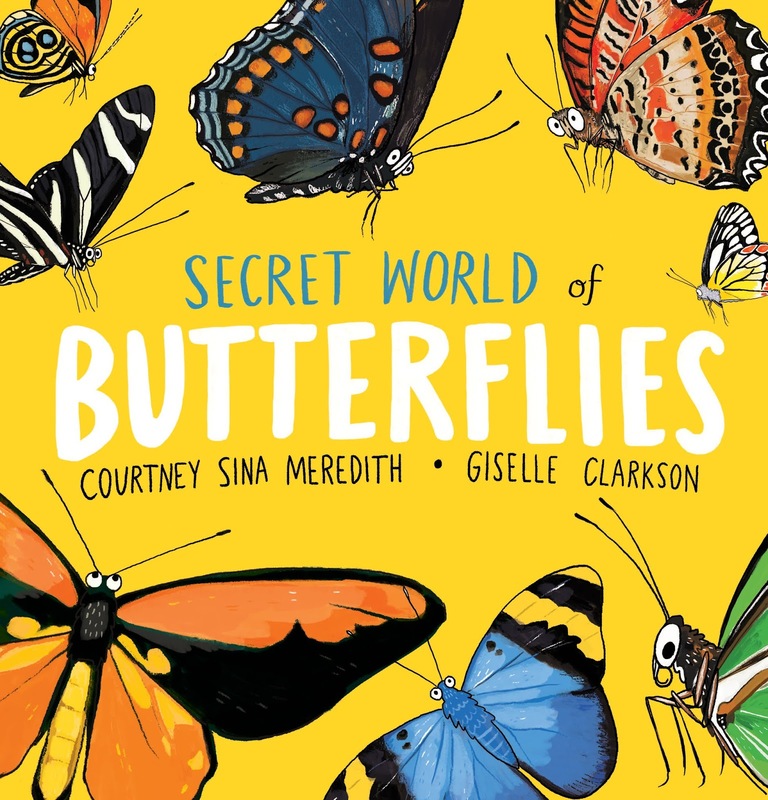 An exhibition of Ray Shannon’s collection of butterflies inspired the publication of The Secret World of Butterflies, which takes us on a journey through the birth and life of many different species of butterflies. The inside covers are covered in glorious coloured flying butterflies with their names written along the outside of their wings. This stunning picture book focuses on the interesting and extraordinary habits of Nature’s beauties, such as they taste with their feet, and some drink from puddles of mud and rain. There are very large and very small ones. They fly very high, and at times as high a flying helicopter. And they see things in black and white, not colour as we do. They are good at camouflage and some species have transparent wings. Their wings are wet and crinkly when they just come out of the chrysalis, but the sun quickly dries them to become outspread. For people who are interested in butterflies, this is a highly informative and educational book. It can be used to show and teach young children about these beautiful creatures, some of whose average lifespan is just one month, and one week alone for the smaller ones. They are amazing! Children will love the incredible wing designs, the various sizes they are born to, their habits but most of all, their exquisite fragile beauty and colour. There are a generous amount of fun facts at the end, in fact three pages full. Whether it’s the female Queen Alexandra birdwing butterfly with its wingspan of 32 centimetres, or the world’s smallest - the western pigmy blue, this book will send children to their computers for more research on these these treasures of nature.